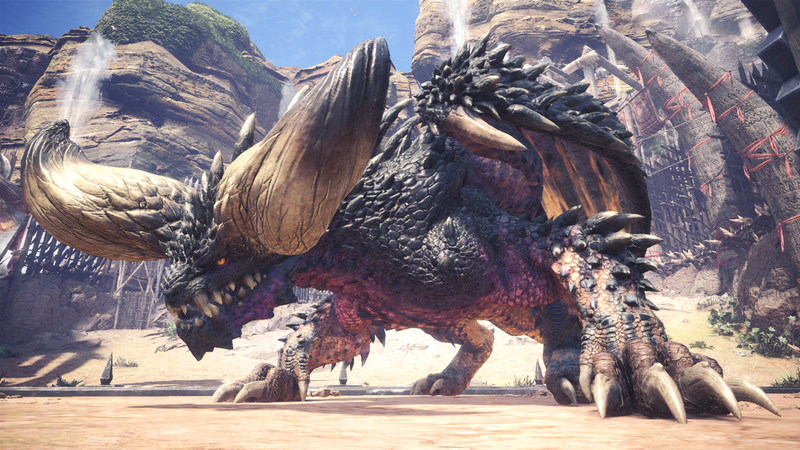 Monster Hunter World launches on PC next month, but when it does, it won’t support cross platform play between the PC and console versions. Even the PC and PS4, or PC and Xbox One will not be able to play together individually, which is how some games have had to manage cross platform play in the past, thanks to Sony’s reluctance to embrace the future already. However, in this specific case, Sony is not to blame (though that has been the case in the recent past). Actually, no one is to blame. It just comes down to the realities of development. You see, the PC version of Monster Hunter World, when it launches, will not be synchronized in terms of version numbers with the console versions- so the platforms can’t interact with each other. “I want to synch these up as much as possible, but as mentioned previously regarding title updates, the differences in versions between platforms may prevent them being completely the same time,” the game’s producer Ryozo Tsujimoto told PC Gamer. That said, this was specifically in context of cross platform play being available at launch- there may be a possibility that they add it in later, though that would be unlikely, especially if the PC version ends up doing well on its own. Monster Hunter World is available right now on PS4 and Xbox One, with the PC version launching on August 9.